FastCompany recently reported that the global wellness industry is a $4.2 trillion market… and growing. Here in the U.S. businesses and consumers alike are looking to create healthy workplaces, homes, and lifestyles. No longer is it enough to visit the gym a few times a week; today it is all about creating healthy habits for a lifetime. Think about challenges your business faces: eroding profit margins, online sales lowering your showroom traffic, tightening credit. Sound familiar? Consider carrying a new product in the wellness market space. Specifically, consider massage chairs: an untapped but growing retail opportunity in the U.S. In other parts of the world, like Japan, massage chairs are common. About 20 percent of Japanese households own massage chairs. A conservative penetration rate of 5 percent of U.S. homes would represent almost six and a half million massage chairs purchased. Think what having a small piece of that wellness pie could mean for your business! Your business has a huge opportunity to set yourself apart and show a real interest in the wellbeing of your customers. Flooring the top-of-the-line massage chairs that most closely mimic a massage by human hands, rather than cheap mechanical chairs sold online, gives your customers a chance to FEEL the difference in quality. And don’t forget the added benefit: having more relaxed, happier customers can be good for business. Flooring a product that promotes domestic harmony can be good for business. By adding a variety of high-quality massage chairs to your showroom, rather than dropping prices on your existing inventory, your business will enjoy high profits per square foot and give people an entirely new reason to visit your store. Distinguish yourself from your competition, support your reputation as a top quality merchant that cares about the wellbeing of their customers. 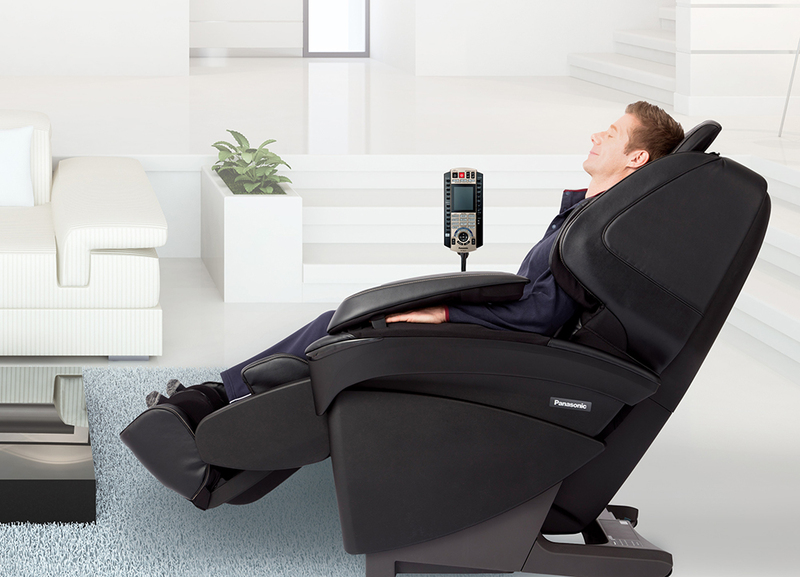 When they experience a massage in your store, they can envision coming home to their own massage chair every day, a healthy habit to manage stress and feel better. Who can put a price tag on quality of life? You can. Be an innovator: offer the best massage chairs, show your customers you care, and solve the wellness equation for your business.